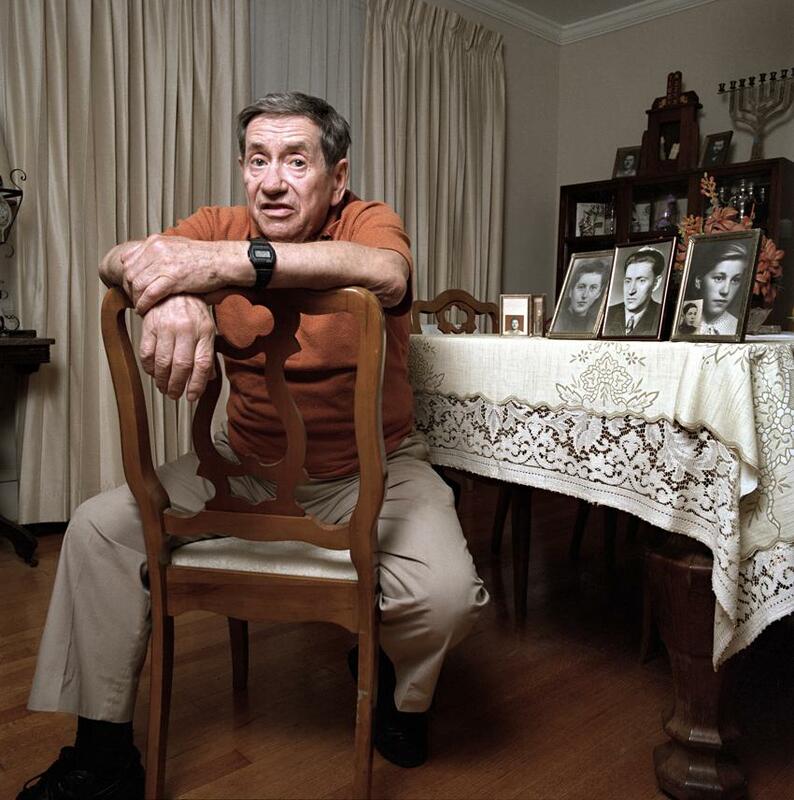 Holocaust Survivors: Photo Gallery - "Isak Borenstein"
Isak Borenstein displays the pictures of his family as he tells his story of survival. Only Isak and his brother Abe (the middle picture)survived the war. His brother's health was ruined by his experience in the concentration camps and he died young.